Since my childhood days I always had an affinity on darker things. 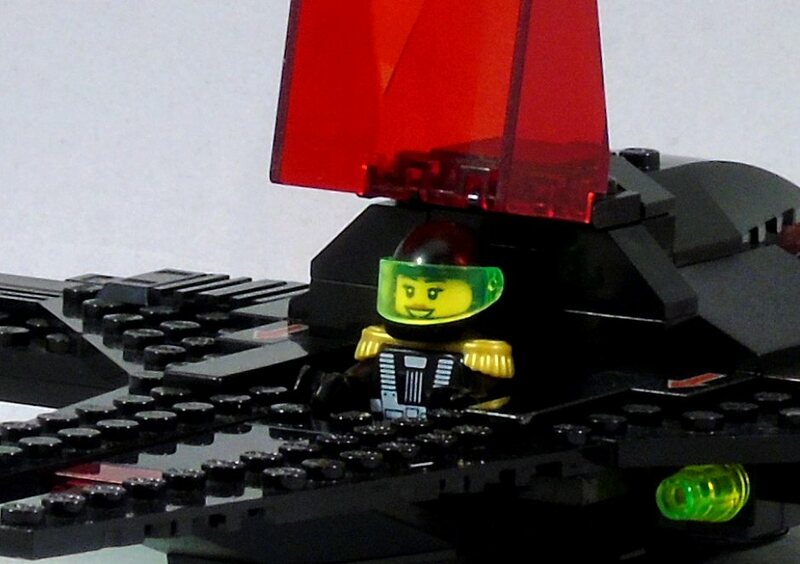 My favourite Minifigure was wearing black, the Dragon Knights were so much cooler than the Lion Knights and when Blacktron invaded Lego Space, I was so excited by these guys and their black space-suits. They were just super-cool and super-menacing, even if I liked the look of the space-police vehicles more! Astrid and her cuddly co-pilot. Don’t tr y to blackmail her with this picture. Many tried and failed already. Menacing, isn’t she? Astrid is a notorious space ace, fencing master and master criminal. She is perhaps the most cultivated space pirate in the known universe. Therefore, her approach is a more stealthy and elegant one than most of her colleagues, who she tends to look down at because of the brute-force tactics they employ. With her cloaked space fighter, she is not only a highly mobile, but also a highly evasive opponent. I wanted a sleek and aggressive look for the ship. My main inspiration came probably from the Wing Commander series (precisely the Salthi from the first game) and from vintage sports cars (less obviously, I know, but look at the sloped back!). Something that breathes speed and danger. I really wanted this one to look dangerous and fast. Howling engine, the canopy slowly closing, a last check on the instruments: Astrid is getting ready to shoot down some futurons! In Part 2 we will take a closer look at her subordinates and their ship(s). Blacktron is on the rise! Nice work. 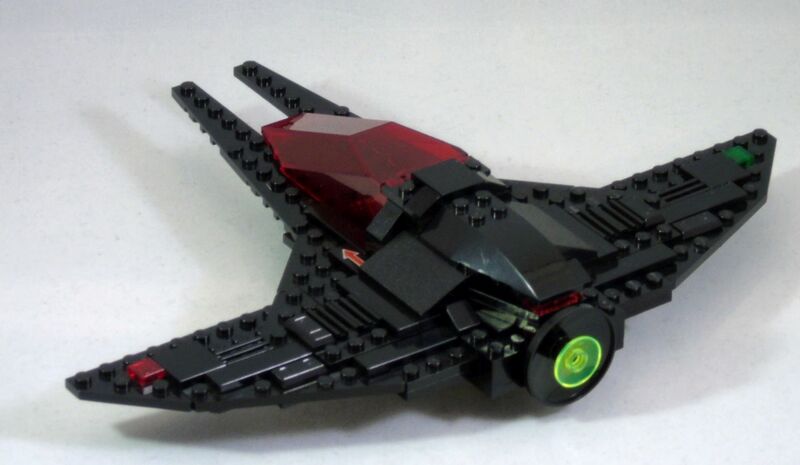 The Blacktron were always my favourite Space subtheme too. I like what you’ve done with the red windscreen and all-black colour scheme, more in keeping with the awesome original colours than that Generation 2 white-containing monstrosity, but original. The trans neon green visor and Blacktron I flight suit is a nice combination, too. My only critique would be the overpreponderance of visible studs. A little judicious SNOTwork on the wings and forward-projecting prongs would work wonders here. Thanks for your comment! SNOT is something I have to get more into indeed. So far my ships can be considered pretty “classical” in their building style. Partly because that’s the parts I mostly have 😉 But things will progress. I usually don’t take my builds apart, but I revisit them and have a fresh look at them. Previous Post Sword (or Axe) and Sorcery! 2018: Interesting Sets – so far!